In just 10 years, Dave Smith Instruments has released examples of true analog, advanced digital synthesis, two DCO-based hybrid synths, and a powerhouse drum machine collaboration with Roger Linn—along with a slew of more affordable products that slide into almost any budget. While everyone pondered, “What’s left?” Dave revived a few elements from his groundbreaking Prophet 2000, packed it with 150 gigabytes of top notch multi-sampled instruments, and folded in his trademark filter and modulation tools, creating a synth that’s much more than a workstation ROMpler. The Prophet X is a new breed of hardware synth. Having worked with the Prophet X for much of the spring as a member of the preset design team, this tutorial will cover many of the insights I’ve gleaned about its deep synthesis engine, which offers far more than just sample playback with a bunch of synthesis tools. Dave Smith is arguably one of the most important figures in synthesizer history. When it comes to the word "legendary", Dave's work definitely qualifies - which is why he won a Technical Achievement Grammy in 2014. 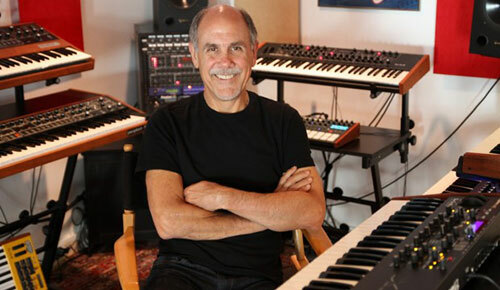 In Stephen Fortner’s excellent interview from 2016, Dave discusses his philosophies on synthesizer design and shares a bit about his 40-year history in the world of music technology. This article is truly a fascinating read.